Like what I did there? No? Well, my projects are slightly better than my rapping, so stay with me. 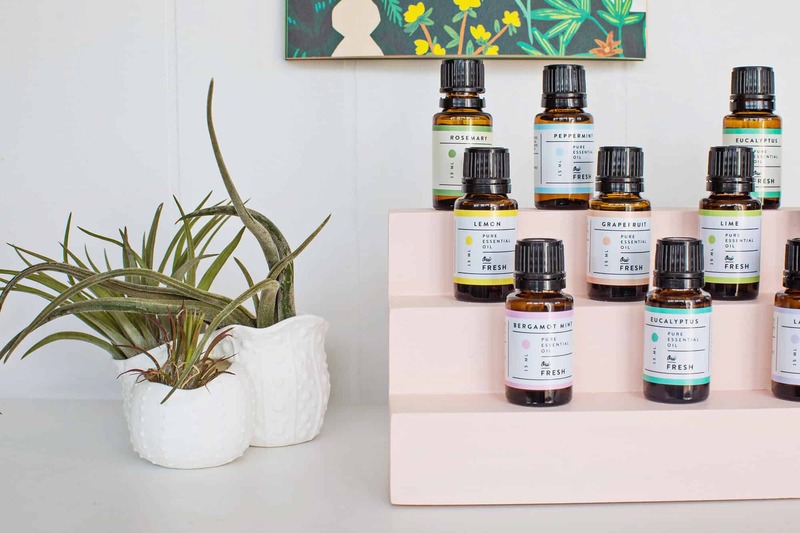 If you’ve already started using essential oils, you know those little bottles can be tricky to keep track of or even corral in one place. 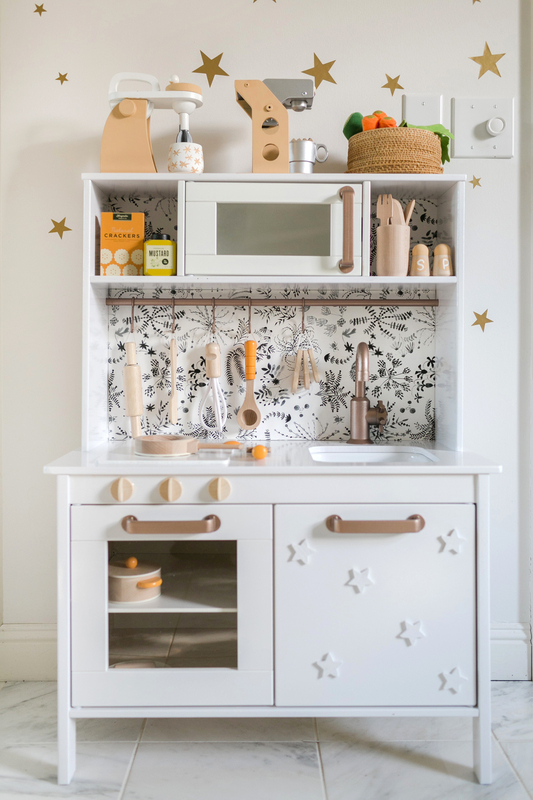 Keep them in a drawer and you sometimes have to pull them all out to see which is which, keep them on your countertop and they can make your surface feel cluttered. 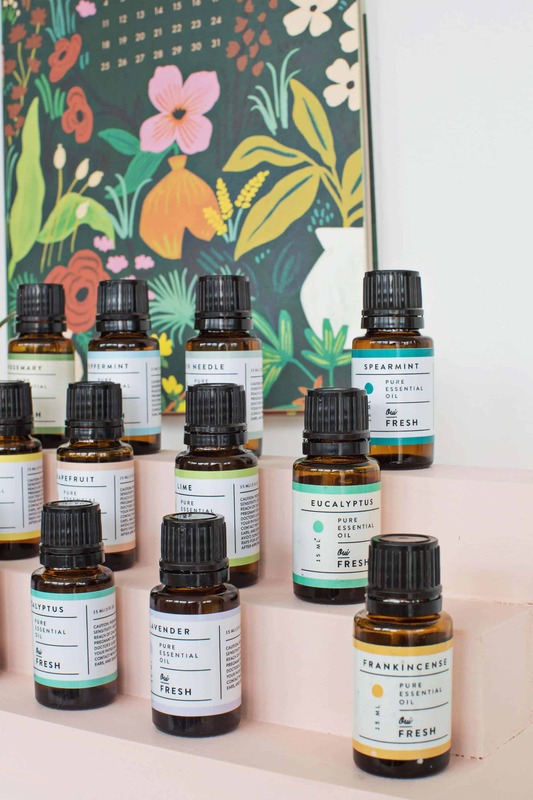 Enter the essential oils grandstand. 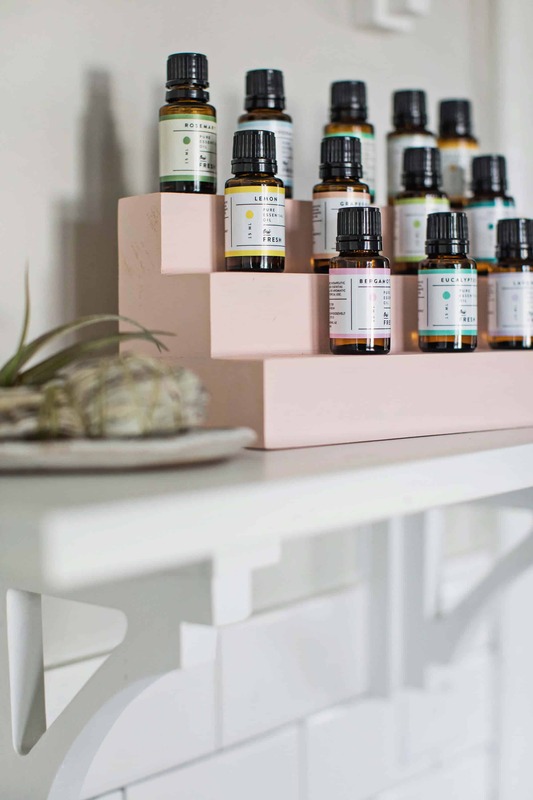 You can make one of these little stair-step organizers as narrow or as wide as you need, depending on the size of your EO collection, and can paint them to compliment your home decor. Like it really natural? 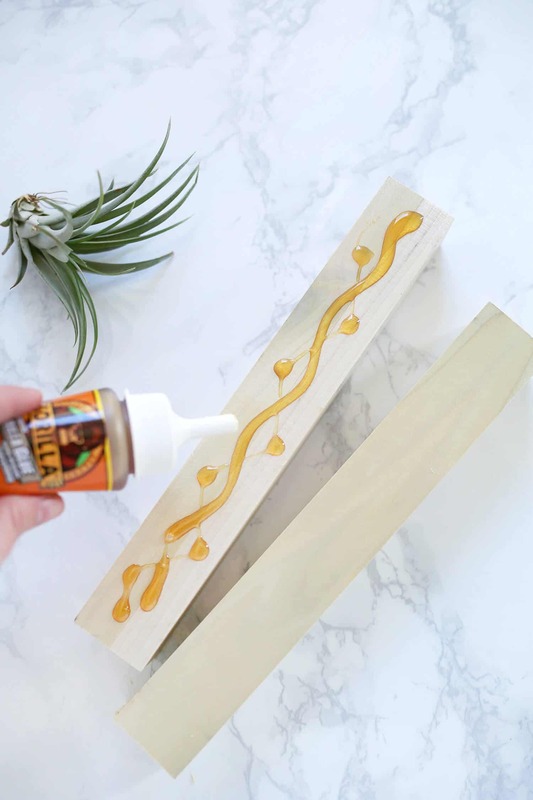 Skip the paint and seal it with beeswax. The only tools you need to make sure this project goes swimmingly are a set of clamps. 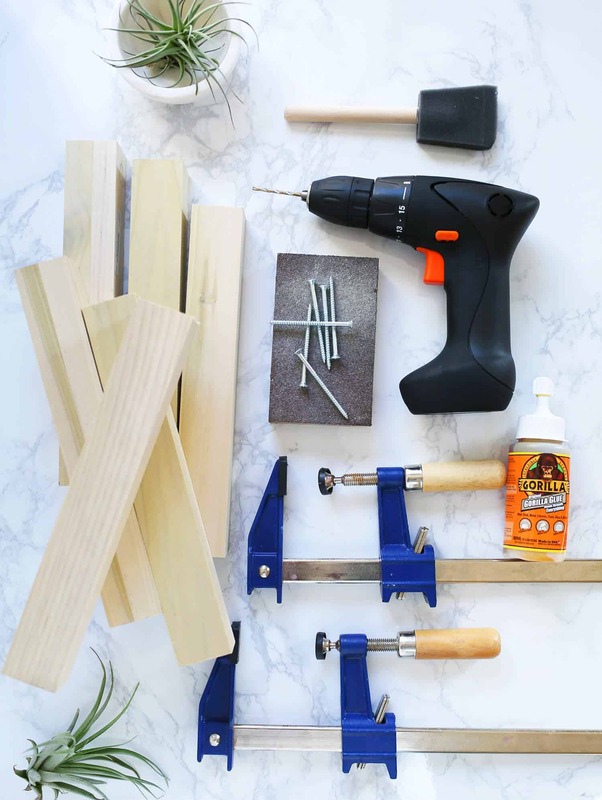 If you have a power drill, you can screw it together, but you can also just use Gorilla Glue and take your time letting each step set before moving on to the next one. Hit up your hardware store (the one that makes the cuts for you) and the hardest part is already done! Semi-pro tip: When picking out your boards, be sure you check that each piece is straight. Sometimes boards become warped and even a slight curve can muck up the clean angles you’ll want for this kind of project. 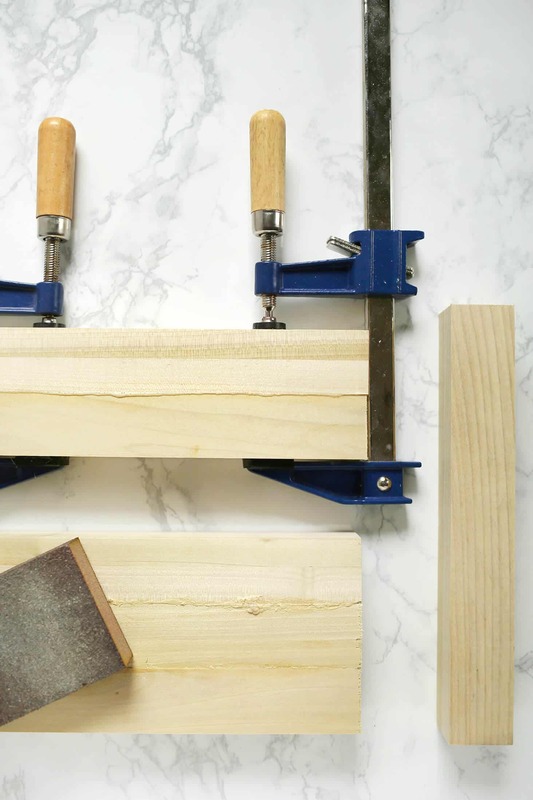 Start by getting each of your boards cut into three 10″ lengths at one of the larger hardware stores that offers this service. You’ll need six equal pieces total. If your oils collection isn’t big enough to need this much space, just shorten the length of your pieces. Add a thin, squiggly line of Gorilla Glue to the center of one piece of wood. Too much will spill out on the edges and this type of glue expands as it dries. Stick your first piece of wood to another piece of wood and align your edges. Clamp in place on a covered work surface. You may have to adjust your alignment after you clamp both in place. 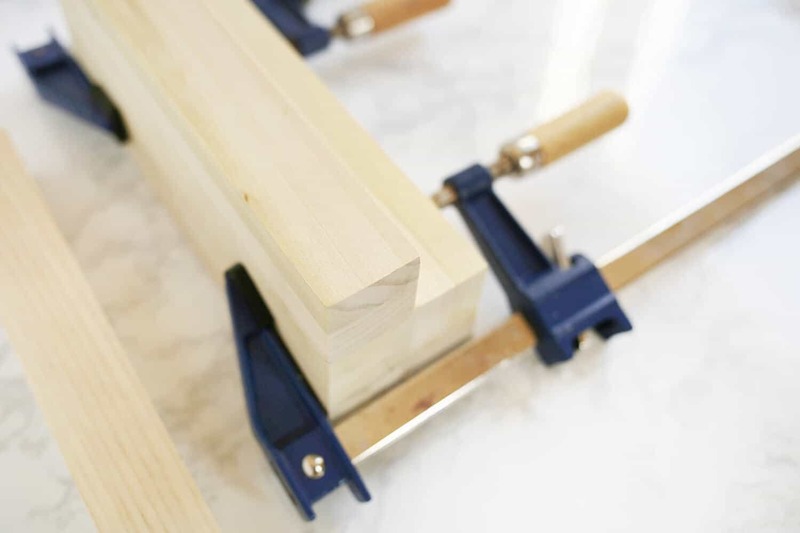 Getting things lined up in this step will save a lot of sanding or more cutting down the line. Wipe off the excess glue that spills out. 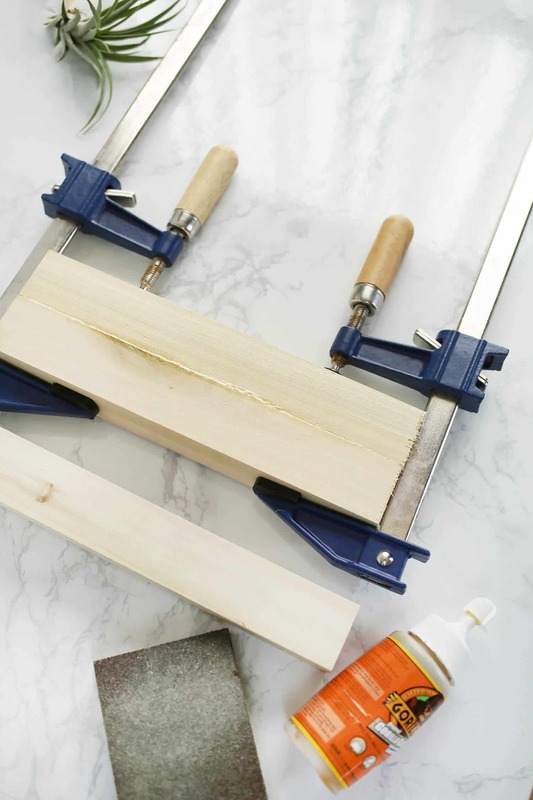 Let your glue set for 1 hour before adding your third block of wood. These three pieces make up the base. Repeat the process with two more blocks of wood. This will be your second layer. Wipe off glue with a wet paper towel and then sand off any dried glue at the seams. Once both sets of blocks are dry, line them up so that they are flush on one long edge, like stair steps. Glue, clamp, wipe, dry. Then repeat this step with the final block so that it completes the top step of the stair step shape. 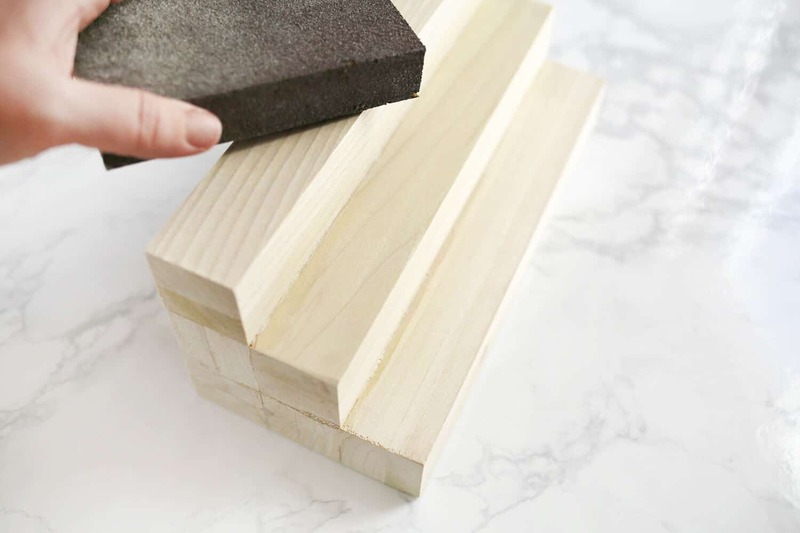 Once everything has dried and set, use your sandpaper block (or power sander if you have one) to smooth off the excess glue and possible rough edges. Wipe with a damp cloth to remove dust and paint or seal with beeswax. 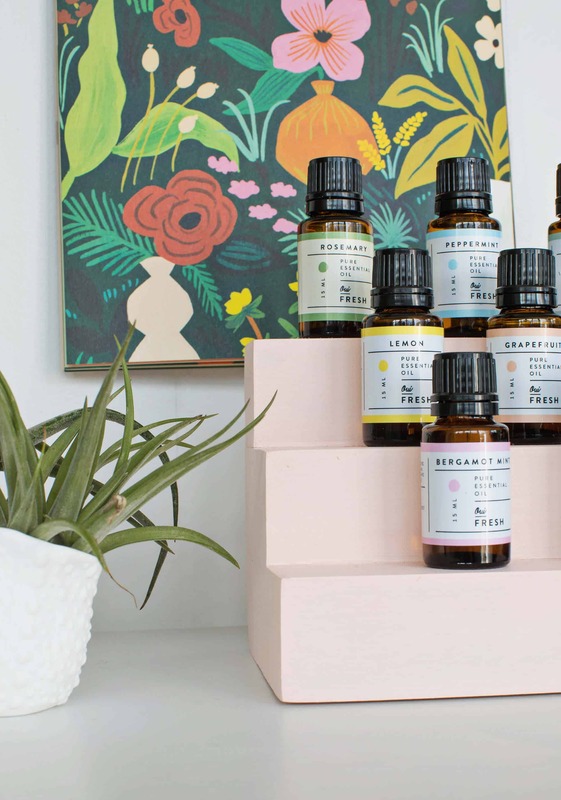 Essential oils should always be stored out of direct sunlight, but even if your storage space is inside a kitchen cabinet, this organizer will give you easy access when you’re searching for your favorite scent. Credits//Author: Rachel Denbow. Photography: Rachel Denbow and Janae Hardy. Photos edited with A Color Story Desktop. Super cute! And so doable! Thanks so much! I’ve been wanting to make one of these for a long time! Yes, they tend to start taking over, don’t they! Is there anything like the best intro to a blog post award? Because we might have a winner here! So cute! Could totally use this for nail polish too! This grandstand is quite cute and would work for nail polish, as mentioned. And vice versa, i used an acrylic nail polish holder (the type to mount to a wall) for all of my oils. It was the perfect solution. I attached it to the inside of the linen closet in my bathroom, they are all visible and perfect for containing any drips or leaks, too. How cool! Would be awesome for nail polish as well! You and Amanda (above) are both on to something. Ha! 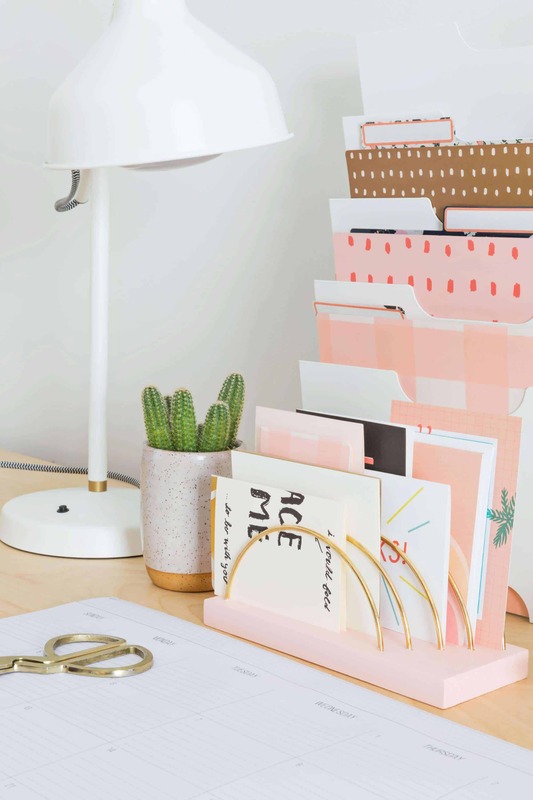 I love the pastel pink color of this organizer. Plus, it looks really doable. Love you created this step by step diy tutorial! 🙂 Thanks for sharing! So cute! Love my essential oils I might need to do this to show them off more. Cuuuute!! What color pink paint is that? 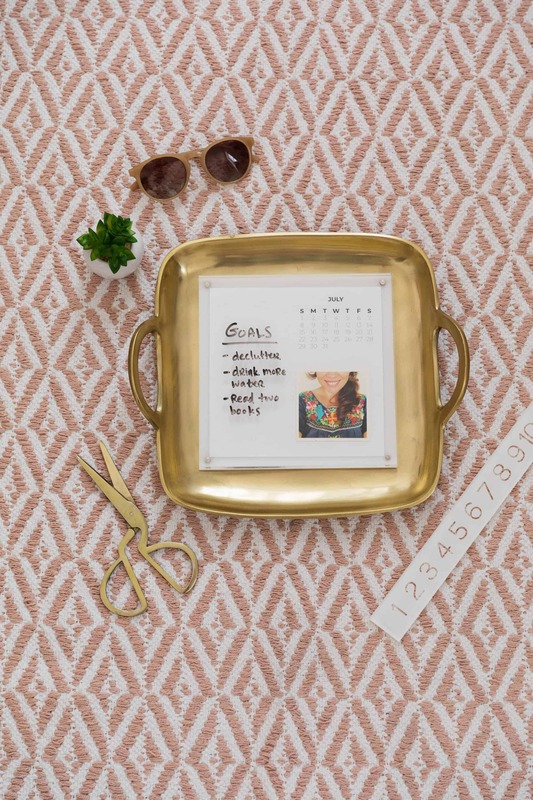 Also, where did you get the fab floral calendar?